The green grass in your yard can be a beautiful, relaxing place in the summer. Growing and maintaining your lawn can make a real impact on the look and feel of your yard and home, and it doesn't have to be difficult. Large or small, keep your lawn can look it's best with the tips in this section. You'll find information about planting grass seed or installing sod. There are also tips for eliminating weeds and applying the right fertilizer. And of course, you'll get the information you need to choose the best lawn mower. The following articles are available for the 'Lawn' topic. Click the article''s title (shown in bold) to see the associated article. If your lawn is looking brown no matter how much nutrients you feed to it, consider aeration. Aerating your lawn will pull out clumps of earth which allows oxygen to get to the roots. The oxygen will help the roots absorb the nutrients the grass needs. Go to your local gardening center to rent one, or ask a landscaping company to perform the service for you. Choosing the proper grass seed mix may seem a little stressful to the beginning gardener, but it really doesn't need to be. In fact, in order to get the best possible grass seed mix for your home only requires that you keep in mind a few guidelines. That doesn't seem too bad, does it? Lawns need to have the right nutrients to grow property. If the lawn has either too much or too little of the wrong nutrient, fertilizer exists to make things right. Start out by testing your soil. Then take your test results to your local garden center and buy the fertilizer that will fix your specific problem. If you're going to spend a few hundred dollars to purchase a lawn mower, it stands to reason that you should clean it and maintain it so that it will last many years. Follow these handy tips to clean your lawn mower and keep it in good condition for years to come. As anyone that has ever accomplished it before, watering the lawn usually requires a lot of water. Oftentimes it takes so much that conservation while watering the lawn can seem like a bit of a pipe dream. That is, unless you use these methods. There is more to creating a dog friendly lawn than choosing the right kinds of plants. It involves proper planning, and a little bit of style. Create a space that both you and your dog can enjoy by following these simple guidelines. Mowing the lawn is an important part of keeping it trimmed, but many people do not edge their lawns. Edging the lawn is cutting the grass off from the cement around your lawn. If you use a dedicated edger, it will leave your lawn looking great and well cared for. Many people think that finding the ideal cutting height for grass is a difficult task, but it isn't really. True, you will have to do a little bit of homework and even pull out couple of tools, but you can easily find the answer. All you need to do is follow a few simple guidelines. 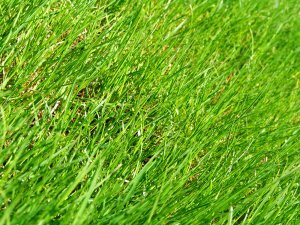 Grass lengths can make a big difference in the health of your lawn. Depending on how your grass is used, what type you have, and where it is situated, you need to cut your lawn to different lengths. Never cut below 1/2 inch. For best results, research the type of grass you have, then follow our guide. Dandelions are one flower that is an eyesore in your lawn. They are extremely difficult to kill off, but you can do it with a little bit of work. Mow them often to keep them from seeding. Kill the rest off by pulling them out by the roots. Alternatives to this are boiling them, using vinegar on them, burning them, or making your soil too rich for the dandelions. Lawns that are rich in nutrients will attract mushrooms. These unsightly plants will do no harm to your lawn, but are probably not something that you want. It is very difficult to remove them permanent. Remove the heads to keep the mushrooms from spreading. You can try aerating the lawn or using nitrogen-rich fertilizer, but this may not work. Experts agree that growing grass in the shade can be exceptionally difficult, but it can be done. If you find that grass simply won't grow, despite best efforts, consider replacing those parts of lawn with different varieties of ground cover. The most important thing to remember when trying to grow grass from seed is to plant at the right time of year for the type of grass you're trying to grow. Cool season grasses should be planted in the early spring or early fall, while warm season grasses need to be planted in late spring or early summer. Are you interested in growing greener grass? Would you like your lawn to look as beautiful as a golf course? If so, then all you really need to do is follow these simple guidelines, and you will find that you have a beautiful lawn that is simply the envy of your friends and neighbors. Patio furniture can have just as big of an impact on the exterior of your home, as the furniture inside you house has on the room that it is in. Make sure that you get the right kind by learning how to choose patio furniture. Believe it or not, there really is a right way and a wrong way to mow your lawn. The thing is if you don't learn how to mow your lawn the right way, you can easily inadvertently damage your lawn. So unless you want to spend more time working on your lawn trying to repair your lawn, it doesn't hurt to learn what you need to do. Sod is a great alternative to growing grass from seeds. When laying sod, be sure the area is prepared before hand. It is also a good idea to have an irrigation system in place. As you lay the sod down, moisten the area before the grass is laid, and then soak it once everything is down. You will have your own great lawn in no time. Just about everyone with a yard has a dream of making their grass look as beautiful as those found on a golf course. For the most part keeping your lawn green won't require you to put in the extensive amounts of work required for a golf course. Rather, all you need to do is keep in mind these guidelines. While many weed killers can kill dandelions, salt is one of the only cures that remove the plant permanently and won't let it spread. Simply pour some salt on the base of the plant. While the salt will take a while to kill the plant, it will destroy the roots and stop the plant from spreading. Taking care of the lawn around the fence can be difficult. Trim the grass down with a line trimmer, and be careful not to hit the fence. Once you have the grass trimmed down, use an edger on the fence to make the area look striking. Make sure to do this often instead of letting the grass grow up and having to do it again. Ornaments can make your lawn look even better if done properly. Make sure to plan out how to use the ornaments before you get them, and keep everything to one theme. When placing them, be sure to have everything centered around one focal point and do not clutter everything around your lawn. Finally, keep the scope to what you can actually do. For whatever reason, a lawn is going to need periodic repairs every once in a while. Repairing lawns can often seem like a tedious, uncertain process—that is unless you take a little time to prepare. By learning lawn repair basics, you can begin tackling even the most difficult of lawn repair jobs. Laying sod is one of the quickest and best ways for getting a great looking yard. However, having someone do the work for you can be a fairly expensive thing. Laying your own sod not only can save you some extra money, it is also a great weekend project. If you you're wasting water and time watering your lawn, consider replacing it with a low water lawn. By replacing your existing lawn with low water, no-mow grasses, not only will you save time and money, you will help the environment by using your lawn mower and water hose less. You don't need to spend a lot of money purchasing expensive chemicals, or additives in order to take care of your lawn. While the chemicals and additives may work, a better choice is to learn natural lawn care. You will be amazed at how effective a few simple steps can be at making your lawn look great. Whether you have bald or brown spots in your lawn because of extreme heat, dog urine, or grass disease, you can easily remedy the situation. Prepare the soil to hold new grass, tend to the new growth, and then watch your lawn's bad spots blend perfectly with the rest of your lawn. It should go without saying that properly watering your lawn will go along way to ensuring you have a healthy and beautiful lawn. However, without proper planning, your dreams of an effortless lawn irrigation system can quickly become a nightmare. Good thing that planning an irrigation system for your lawn is really easy. Here's how you can do that. One of the most important aspects of preparing your lawn and landscape is actually planting grass seed. If you would like to be able to plant a great lawn, but don't want to spend an arm and a leg to get it done, then you are in luck. Here is what you need to do in order to go about planting grass seed yourself. Whenever the cold winter months begin to warm up again it is time to get ready to start working outside again. One of the ways that you can do this is by preparing your lawn for spring. The time to prepare your lawn for winter is in the fall. If you want a luxuriant lawn in spring, do not wait until spring to take action. Follow these simple steps for preparing your lawn for winter, in order to have a luxuriant lawn in spring. Fairy rings may have a magical name, and inspire thoughts of magical scenes and fantastic nights but they are nothing like that in reality. In fact fairy rings are usually a good sign of a larger problem. Luckily there are a few things that you can do if you are interested in preventing fair rings from forming. Thatched lawns are an ugly, nasty sight, but they are one that can very easily be prevented. If you are really interested in preventing thatch lawns then you need to keep these guidelines in mind. Surprisingly, one of the more difficult tasks in gardening and landscaping is to learn the right way of planting grass seed. Luckily, properly planting grass seed isn't a particularly difficult task. Rather, it's a time consuming one. One of the more frustrating aspects of planting a new lawn is ensuring that your grass seed actually stays in place. Protecting a newly seeded lawn, while it may seem like a full time job, is actually something that is fairly easy to do. Just keep these simple guidelines in mind the next time you have to protect some grass seed. It is a sad fact of gardening and landscaping life that not all lawns have proper drainage. In such situations you will need to make adjustments yourself, or you will need to live with the situation. Luckily, providing proper drainage for your lawn is possible as long as you are willing to get a little dirty. Spotty lawns, foreign grasses, and pets are all common causes for problematic lawns. Reclaiming your lawn doesn't necessarily need to be something that costs a fortune. Here are a few methods and simple steps that you can use to help you reclaim your lawn, so that you can once again have a lawn to be proud of. While a dog may be man's best friend, there are times when they can really test that bond. One of the more common ways is when they damage your lawn. Good thing that repairing dog spots on grass isn't that difficult. It is rather easy to tell if you have fairy rings in your lawn or not. However, there is a bit more work involved in repairing fairy rings. All you need to do is use the methods outlined here, and you will find that you are able to remove the rings. Other than watering issues, a thatch filled lawn is perhaps one of the more common problems a home gardener can find themselves faced with. In the event that you find yourself repairing thatchy lawn, follow these guidelines. Buying a lawn tractor can be a large investment, so make sure that you know what you're buying before you lay out that kind of cash. Consider ease of use, comfort, how wide the turning circle, and the obstacles you have to dodge while mowing And, at the very least, make sure that you get a good warranty for the model you are considering. While some shrubbery takes the form of sculpture, other shrubs can be used simply as lawn accents for your home. Choose different shapes, sizes, and colors to add visual interest and appeal, and spice up a boring landscape. Use sod from your existing lawn as patches. Perhaps you have an out-of-sight portion of lawn from which you can cut sod to patch another portion of your lawn. That way, you can perfectly match the two types of grass, since they both grow from the same stock. After you remove a portion of sod from your lawn, reseed it so that it will grow for use again. Using your own sod will save you money since you won't have to buy it from a nursery. How often you should water your lawn really depends upon many factors such as what type of soil you have, what growing zone you live in, the type of grass you have, how much sun your lawn receives daily, and what time of year it is. Talk with a qualified grass specialist at your local nursery to discuss watering your lawn, and always remember that the point to watering your lawn is to water deeply, with less of a focus on frequency. Fairy rings are naturally occurring arcs of mushrooms caused by a fungus that grows in your lawn. They can grow to be up to several yards in diameter. They usually reoccur every year in the same general area, but if needs be, they are easily dealt with. Do you have a big area in your yard to fill and you don't want to add more evergreen shrubs? Pampas grass may just be the solution for you! It's a big, beautiful type of ornamental grass that looks great in just about any yard. What is the Best pH Level for Grass? There are a couple of questions that any serious home gardener has asked about their lawn at least once. Perhaps the most common of these questions concerns the best pH level for grass. The answer to this question is both surprisingly simple and frustratingly difficult to understand. One of the trickiest parts of planting new grass seed is deciding when to do it. The fact of the matter is, not all times are ripe for planting, and this is true of grass as well as many other plants. So, if you have ever asked yourself when is the best time to plant grass seed, you are about to find out the answer. Aerating your lawn is the best method to alleviate compacted soil and to allow your grass' roots adequate water, air, and fertilizer. As long as there is adequate soil moisture, any time is a good time to aerate your lawn, but most people like to do it in the fall. Whether it is due to the annual change of weather or because of a sudden storm there are times when we have to rake the leaves up from our lawns. But when is the best time to do this? Here are some guidelines that you can use to not only decide when to rake the lawn, but also how to do it the right way. Ensuring yourself a nice, green lawn after a long cold winter is easy when you take the right steps to winterize it. Only a few tools are needed, including a rake, your lawn mower, some fertilizer and a spreader. With some hard work in the Autumn, you'll have the best looking yard when spring comes around again.